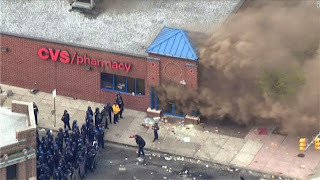 What does a burned out and looted CVS have to do with upward mobility? I have been fascinated by the recent coverage of upward mobility in the New York Times [“In Climbing Income Ladder, Location Matters”]. This topic is of interest to me because our firm is often engaged in improving retail environments in under served urban communities. Consider the CVS that was looted during the recent Baltimore riots. Did you ever stop to wonder how long it took to attract a CVS pharmacy to that neighborhood? And do you think that CVS or any other retailer will be eager to return as things settle down, regardless of how much demand and need there might be? In the end, the politics of place matters quite a bit when it comes to improving the retail environment for local residents. This is why I found the research that the NYTimes covered quite riveting. Two Harvard economists conducted a time series analysis on the impact of neighborhood environment on the outcomes of poor children. In short, they found that the neighborhood environment in which a child is raised is one of the most important determinants of income (by age 26). From the standpoint of a low-income family living in a low-income community and looking to meet the needs of their children TODAY, not tomorrow, the news is not good. Basically, the research suggests that mobility is the answer. Get the hell out, basically. But the authors acknowledge that this solution is not scalable, and I agree. Moving every family out of poverty stricken neighborhoods is not a long term solution. It’s a band aid fix for an intractable problem. The real problem is the quality of the neighborhood in which they live. Addressing that problem is where the future of public policy SHOULD be if we are truly interested in improving the outcomes of poor children over time. REDUCE the concentration of poverty and INCREASE racial diversity. This means encouraging economically integrated neighborhoods by combining efforts to attract higher-income families WITHOUT involuntarily displacing existing residents. That means building – yes, building – NEW housing. This in turn means that some communities will need to be rezoned for density. But while that happens, we must ensure that existing families have the opportunity to remain as a neighborhood improves. Some potential policies include strengthening landlord-tenant laws that prevent harassment of tenants, helping tenants with the right of first refusal and provide financing to enable them to buy their properties and stay in place, and providing incentives or loans to landlords that allow them to rehab their buildings in return for maintaining affordability. These are just some interesting ideas advanced by The Center for Community Progress. Make these neighborhoods “communities of choice” by addressing the quality of schools, the quality of the physical environment, access and transportation to jobs, and the retail offerings and cultural amenities that make a neighborhood a compelling place to live. By doing that, we create an environment that is not only better for the people who live there, but is also attractive to people of all incomes and races who are necessary to ensure diversity. Reduce violent crime. The impact of crime over time on the lives of children living in a community is significant. The study found that 20 years of exposure to high violent crime rates causes a reduction in average income. Not only that, but children get caught up in crime, paying a steep price through incarceration and shortened life span. Addressing crime is critical not just for people living in a community, but its common sense that crime has a strong negative impact on people’s residential decision making. Residential sorting – where people CHOOSE to live – is directly impacted by the crime rates in a particular neighborhood. So if we are trying to reduce poverty and encourage economic integration, we have to address crime too, otherwise those with a choice to move somewhere else will do so. While this is only the beginning of a conversation, I am extremely hopeful that this research will drive fact-based decision making and help change the dialogue public policy dialogue.